Did Professor Xavier ever show regret for altering Spider-Man’s memories? 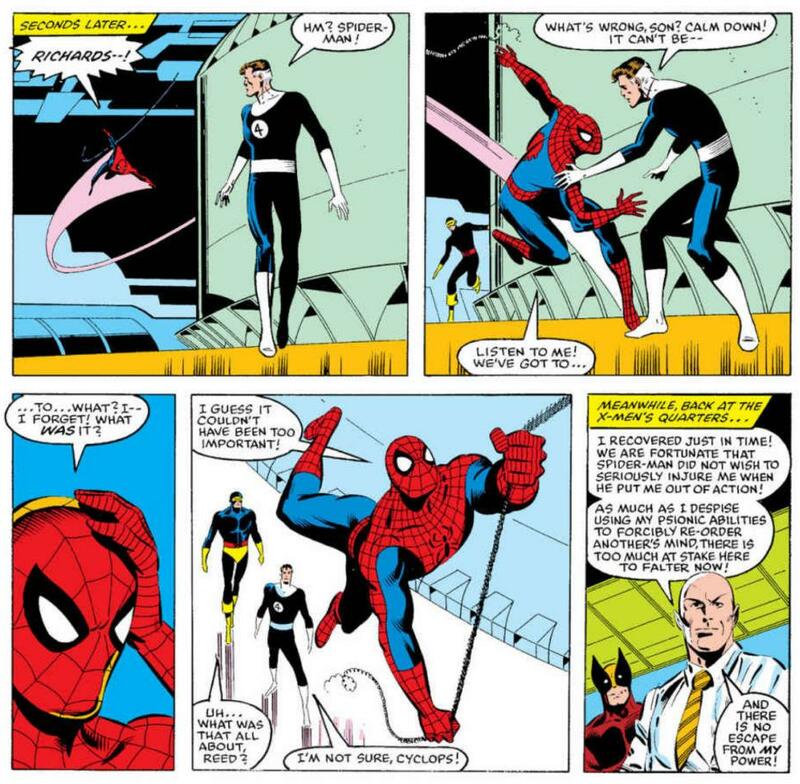 In Secret Wars #3, Professor Xavier modifies Spider-Man’s memories because he overheard plans the X-Men had made to leave the group of heroes. In issue #4, Professor Xavier tells Magneto that what he did was a crime and that he will “long regret that decision” (and that he was no better than Hitler). Outside of Secret Wars, has Professor Xavier ever shown regret for this action? Has he ever talked about it, thought about it, or was otherwise been influenced by the memory of this situation? No. In the following issues of X-Men, there does not appear to be any mention of this minor incident, no regrets from Xavier here. I have not read all X-Men related comic-books since the publishing of Secret Wars #3 but I have read all Uncanny X-Men books published during the 1980 decade and this episode was never mentioned. Secret Wars were written by Jim Shooter and X-Men by Chris Claremont. Different writers, different interests. Xavier has been interfering with people's brains almost since his first appearance in 1963 and neither showing remorse in almost any case nor comparing himself with Hitler. Cross-overs only got minor effects in main titles' histories. No mention was done in Secret Wars' tie-in issues at the time. Do you think that Obi Wan got any remorse in Star Wars: A New Hope in relation with the troopers? We have the same situation here. Not the answer you're looking for? Browse other questions tagged marvel comics x-men spider-man secret-wars or ask your own question. How did Spider-Man come to be working for the Future Foundation? Did Tony Stark ever show any CEO-level communication skills at any point in the MCU?